Registration: We're sorry, registration for this event is closed. Please call 941-748-3411 with questions. What Is a Qualified Opportunity Zone and What Does It Mean for Our Community? Qualified Opportunity Zones are an economic development tool designed to spur economic development and job creation in distressed communities in Manatee County and allow certain new investments preferential tax treatment for capital gains taxes. Join us to learn how our community can benefit from this new tax law, how to invest, and where investments can be made. 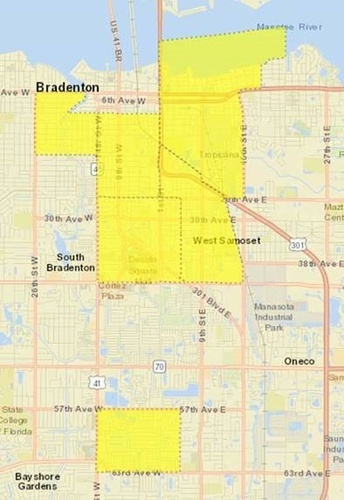 Get the facts regarding the Qualified Opportunity Zones, Qualified Opportunity Funds, and connect with other organizations and resources within Manatee County's six Qualified Opportunity Zones. Kristen Ehrlich | Blalock Walters, P.A. No cost to attend, but reservations are required.